You Are Here: Home > What Are the Differences Between the 2019 Honda Pilot Trims? 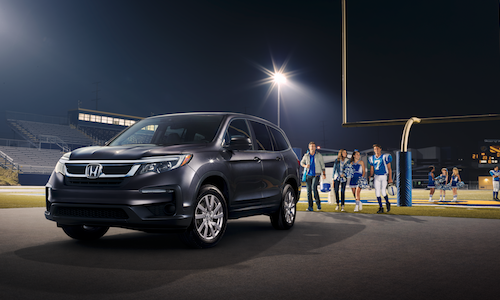 With seating for up to eight passengers, excellent fuel economy, and a ton of impressive tech options, the 2019 Honda Pilot SUV is an excellent vehicle for your busy lifestyle. The next step in the car-buying process is to select the trim that works best with your unique needs. To help make your decision a little easier, the O’Neill Honda team has put together a comparison of key features of all Honda Pilot trims. Read on to learn more. Don’t forget to check out the new and used vehicle inventories at our Honda dealership in Overland Park, KS for available Honda Pilot models and trims. 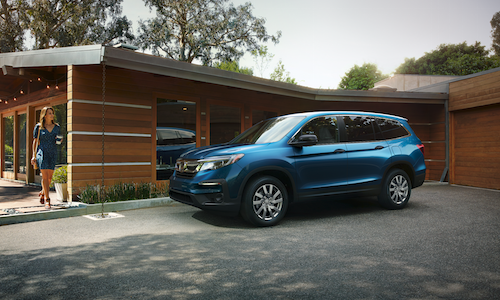 While all Honda Pilot models are wildly different, they do share some qualities you can expect no matter which trim package you select. 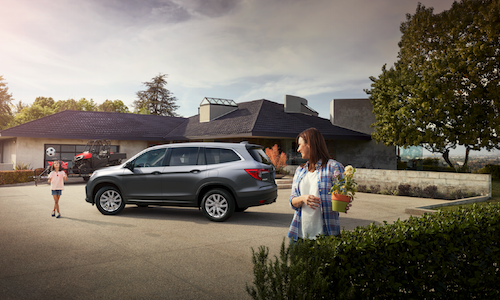 Take a look below to learn more about 2019 Honda Pilot standard features. The Intelligent Traction Management system is standard on the Pilot EX and EX-L. This system helps drivers improve handling in the snow, mud, and sand. Additionally, the Intelligent Torque Management™ AWD System provides additional handling and stability. This system is available on EX and EX-L trims. Leather-trimmed heated front seats are standard on the Pilot EX-L for your comfort. 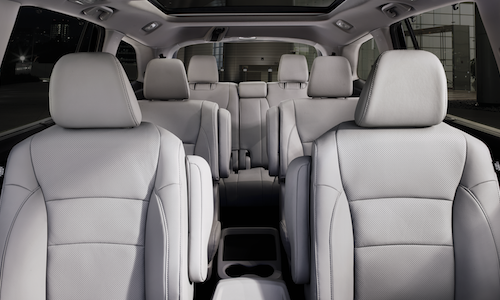 The Honda Pilot EX and EX-L are standard with a 10-way power driver’s seat with lumbar support. A one-touch power moonroof with tilt feature is standard on only the Pilot EX-L. 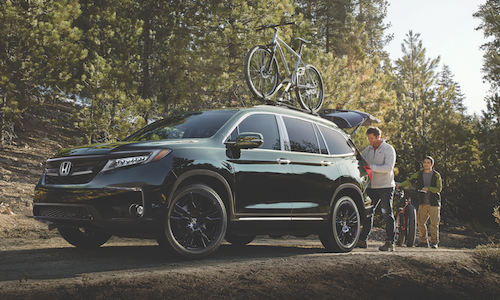 If you’re looking for an SUV with luxurious features, the 2019 Honda Pilot Touring, starting at $42,520 MSPR, and Elite, starting at $48,020 MSRP, are great options. See the information below for details on top Honda Pilot Touring and Elite features. In the Honda Pilot Touring and Elite, you can expect a leather-wrapped steering wheel, heated if you select the Elite. They are also equipped with blue ambient LED lighting, heated front seats, and leather-trimmed seating. Expect a thrilling audio system with the Pilot Touring and Elite. These trims come with the 590-watt premium audio system with ten speakers and subwoofer. Also included is the advanced rear entertainment system with 10.2-in. high-resolution screen, Blu-ray™ player, and built-in streaming apps. When you select the 2019 Honda Pilot Elite, you’ll get the large panoramic roof. This special feature offers an expansive outdoor view for second and third row passengers. Get behind the wheel of the new 2019 Pilot SUV by scheduling a test drive at our Honda dealership in Overland Park, KS. 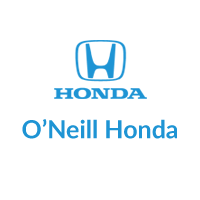 Don’t hesitate to reach out to the O’Neill Honda team by sending a message or calling (833) 718-9755 to speak with a product specialist.